To really get IoT applications into the hands of consumers across the globe, the right kind of devices have to be available at the right price point. What continues to fascinate me about the IoT opportunity is the explosion of creative ideas that are being imagined and developed to enable the next big thing. When I imagine the kind of connectivity and control that will need to happen between the Internet and ‘smart’ devices, these things obviously must be very inexpensive, super small, with the ability to harvest their own energy. Lo and behold, this is exactly what a team of engineers Stanford University and U.C. 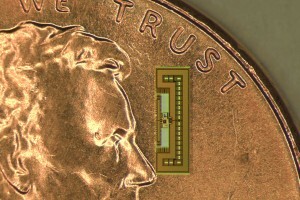 Berkeley are working on: teeny tiny, ant-sized radios that have been designed to be controllers or sensors. Interestingly, the device gets its power from the electromagnetic waves that carry signals to its receiving antenna. The engineers believe their tiny wireless chip, which costs only pennies to make could be the missing link between the Internet as we know it and the web of connected gadgets envisioned in the IoT. To be sure, a lot of the needed infrastructure to enable the IoT already exists in the form of the Internet, computers and smartphones but the industry has been trying to figure out for a while what it would take to really get all of these interesting new applications off the ground. The Stanford/Berkeley engineers pointed out that by putting all of the essential elements of a radio on a single chip that costs pennies to make allows for a bi-directional wireless control system to be added to every lightbulb. The way the device was designed also dramatically reduced power consumption since a single chip draws so much less power than conventional radios. To make this possible, every function in the radio was reengineered. And it was manufactured by STMicroelectronics to prove it worked. This is just one of hundreds of viable options being worked on today. Once the consumer marketing begins, things will get even more interesting.